A pack of 8, 10 or 12 A6 (10.4CM W X 14.5CM H) personalised baby shower invitations. 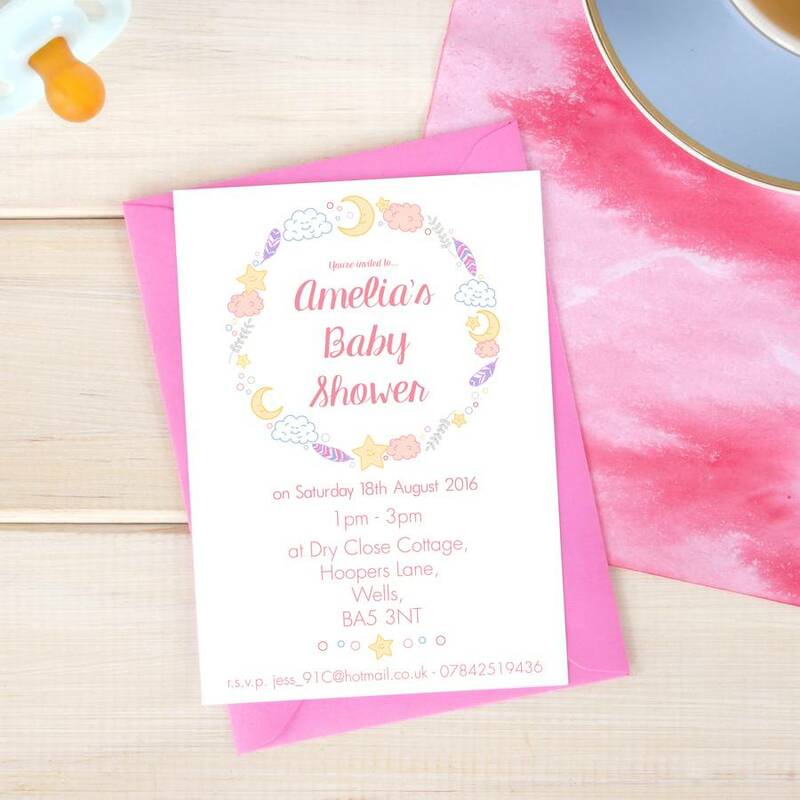 These personalised Baby Shower invitations are an adorable way of asking friends and family to attend your baby shower. Choose which pack amount best suits your event and simply fill out the required fields and we'll do the rest! Each of these single sided cards are printed to order and will come with your choice of envelope. 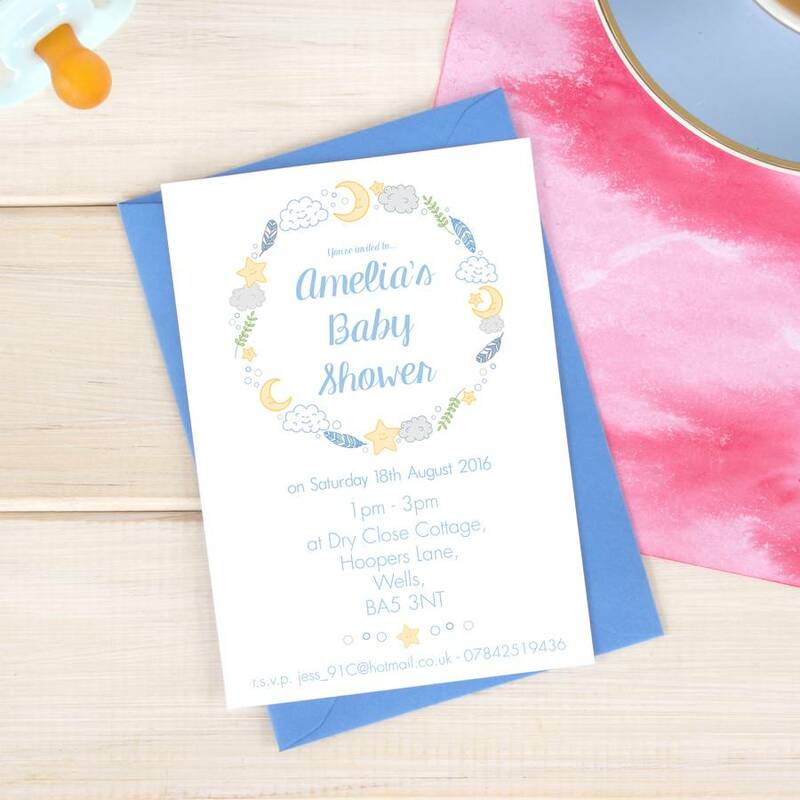 Available in a choice of Blue, Pink or 'Neutral' these personalised baby shower invitations are bound to set the tone for your shower. Printed onto good quality, matt 200gsm card.